The Annual Catalogue is not only full of awesome products, it’s also a great source of creative inspiration. 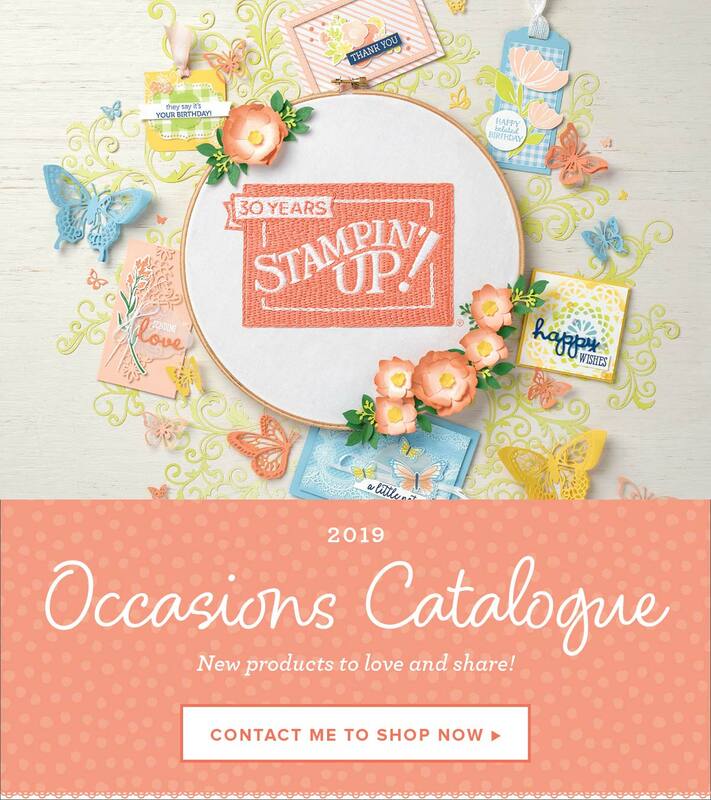 Every stamp set has at least one sample pictured with it – some have many more – and I love seeing new ideas using older products. The samples for Foxy Friends are on page 105 and I copied the layout of one of them pretty closely for my card today. I used a Garden Green card base and the same DSP for the top layer but changed up the middle layer to a stamped one. I stamped the leaves in Pear Pizzazz, Old Olive and Garden Green down the sides to create a fun border that tied in nicely with the woodland feel I was aiming for. I decided to change the sample sentiment and used this pretty stamp from the Label Me Pretty stamp set. I used markers to achieve the multi-coloured look and punched it out with the coordinating Pretty Label Punch. A simple sentiment from Eastern Beauty and the little dotted circle were punched out with the 1-1/4″ Circle Punch and popped up with dimensionals on the label.